Founded way back in 1995 as an online auction site, eBay precipitated a radical change in the way the world buys and sells things. In the process, it opened up opportunities for thousands of people to make money from home. Today, thanks to eBay, if you have something to sell, the whole world is your marketplace. That means more potential buyers, but it also means more competition. Like any successful online company, eBay constantly changes with the times and technology. To be a successful eBay seller, you must do the same. This primer on getting started selling on an eBay is meant to do just that: get you started. Then you must take this information and build the business plan that works for you. Be prepared for constant tweaking as technologies and tastes evolve. In essence, the way it works is a seller lists an item, adding photos and a description and choosing a price and shipping options. Buyers then can bid on it or simply “Buy it Now.” When a deal has been made, buyers make payment via any of a number of different payment options, and the seller ships it. While it may be free to list an item (depending on how many items you list a month), the seller pays a fee when it is sold. Learn more about eBay fees. Also, sellers usually pay fees associated with the payment method your buyer uses. There are other services you may opt to pay for. When the transaction is complete, the buyer and the seller give each other feedback about the sales process and/or the item sold. eBay has a lot of rules to protect both buyers and sellers, so before you begin, know what they are. If your goal is to start a new business as an eBay seller, not to expand an existing one, then what to sell is a critical question. Popular categories of things to sell on eBay include electronics, clothing, and collectibles. People go to eBay for shopping because they want to find items cheaper than they can in their own location or to find things that aren’t easily available locally. Keep this in the forefront of your mind as you choose what to sell. While in many cases the buyer pays the shipping, whoever pays for it, it adds to the overall cost. When considering an item for sale, remember buyers are usually looking for a deal and will only pay so much for an item. If an item’s shipping cost is too large it could make it unsellable. One approach for the newbie is to start by selling stuff you already own but don’t need or want anymore, like an electronic yard sale. The advantage of this is not only that you don’t have to spend money on things to resell, but also that you will learn more by selling a wider range of items. Because you don’t have any or much feedback, don’t start by selling high priced items. Buyers are likely to be wary of a seller with no feedback, so start small. If you have some expertise in an area, like antiques or electronics, you can purchase used items locally at a flea market or other low-cost venue and resell them on eBay. Having expertise about the item and your potential customers is key to making a profit with this kind of item. Whatever you sell you have to be able to obtain it cheaper than the average person can buy it locally. That may mean making it yourself or finding a good price from a wholesale dealer. 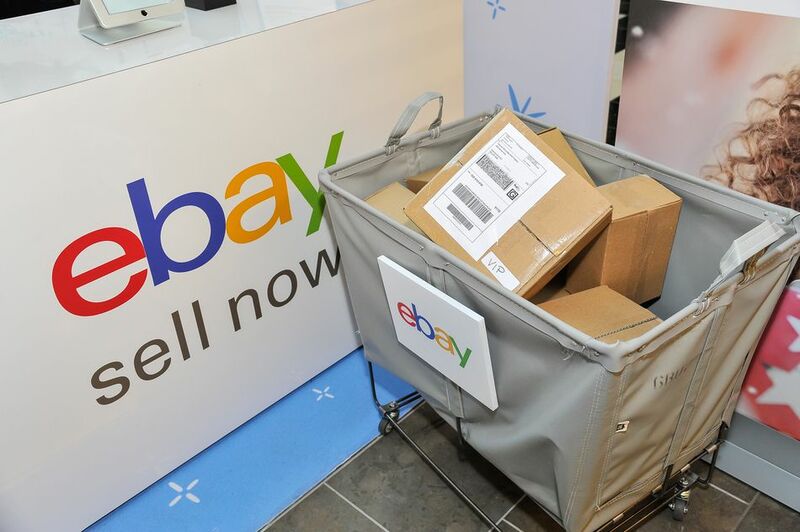 Most potential sellers on eBay have probably bought something on the online site, so they may already have an eBay ID. If that ID has good feedback associated with it, you may want to keep it for your selling. However, you may also want an ID that is in line with your business. You can change your ID, but eBay will notify buyers that you recently changed your ID, which might be a red flag for some. The first thing you’ll have to do when setting up an account is decide what kind of account you want, business or individual. You can sell using either one. The main advantage, particularly for sellers in the United States and Canada, is that you can use your business name on your page. This means that the name will be displayed in communications with buyers, including invoices and emails. In countries where there is a value-added tax (VAT), it will provide the VAT percentage to buyers. Generally the business accounts are for high-volume sellers. You can change your account from business to individual and vice versa easily, so if you don’t yet have a business name you can always change later. To create an account, you will need to enter your name, address, email address, and a phone number. Your newly created account will have monthly selling limits, which can be seen on the “All Selling” page on “My eBay.” Initial limits for an individual account are typically 1,000 transactions or $25,000. When you go to create your first listing, you will be asked to input a form of payment for your selling fees. You can use PayPal, a credit card, or have it deducted from your checking account. Internet merchant credit card account is set up through an eBay-approved outside provider and usually has significant fees. In-person payment can include cash, check, and money orders, which are not allowed with online sales. However, in-person sales on eBay are fairly rare. PayPal is the most common form of payment used on eBay, and you can accept credit cards using it. All eBay-approved electronic payment methods use the eBay checkout system. Buyers will see a “Pay Now” button, which will take them to the payment options you have chosen. A PayPal account is a necessity for eBay sellers, even if it isn’t an actual requirement. To receive payment via PayPal account, you will need to choose whether you want a personal, business, or premier account. Personal accounts have very limited services for merchants. No matter what kind of account you have, sending money is always free. There are fees associated with receiving money in all accounts, and with personal accounts, there is a limit to the number of incoming funds transactions you can make. Premier and business accounts allow an unlimited number of credit card transactions. Online sales inside the United States cost 2 percent of the transaction plus $.30. Outside the United States, it is 4.4 percent plus a fee that varies from country to country. You can also use PayPal to accept payments in your real-world store, but there is a different fee structure. PayPal offers tools for invoicing, payment reminders, and in-auction payment options for its business and premier customers. Business accounts allow you to send mass payments to customers (probably not necessary for eBay sellers) and allow you to do business under your business name. To create a listing simply input the name of your item. eBay will take you to the correct category and walk you through. It will show you similar listings to help you price it. You will need to provide a description. Pictures, though not required, are essential for most buyers. You can also use the eBay mobile app to upload your pictures and even add product information if it has a bar code. Choose your listing type and price. It can be an auction with a time of three, five, seven, or 10 days. It can be a fixed-price sale. You can combine the two, by creating an auction listing but adding a “Buy it Now” or fixed price. If there similar items selling, eBay will recommend both a starting bid and a fixed price. If your item is something that sells frequently, eBay can recommend a shipping fee for you to set for the buyer. You can also offer free shipping and local pick up. You will also need to decide if you accept returns and set a handling time, which is how long it will take you to send it. If all this sounds too complicated for you, you can always try eBay Valet where someone else sells your stuff. You don’t even pay shipping. You get a cut of the selling price, as much as 80 percent for sales of $500 or more or as little as 25 percent for sales under $25.